Many animals, including crows, chimps, orangutans, and octopuses, have mastered what we once thought was a humans-only trick: using tools. A lot of research on the subject has focused on how animals make tools and deploy them, but biologist Barbara Klump took an interest in what happens to the tools when they're not in use. Although tools make finding food easier or faster—for example, a stick can be used to extract bugs from holes and a rock can help smash nuts or hard-bodied prey—acquiring them often has some upfront costs. Looking for or making a tool takes time and energy that could be spent doing other things. And if an animal loses a tool after using it and has to keep finding or making new ones, it bears those costs over and over again. Klump wondered if animals might minimize that hassle by re-using tools and keeping them safe when they’re not needed. Now she reports that some do store their tools away and protect them with two different tactics, but whether or not they do it and which method they use depends on the situation they're in. 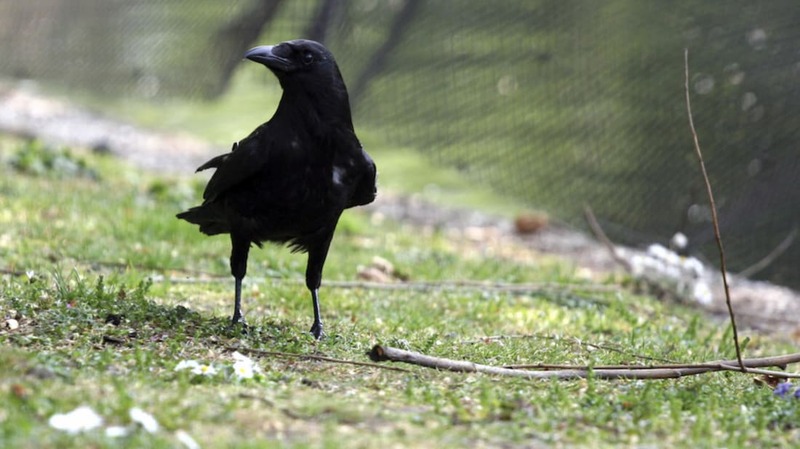 Klump and her research team decided to look at New Caledonian crows because they’re known for carrying their tools—sticks and leaves fashioned into hooks for pulling bugs out of logs—with them for re-use. But they also have to put their tools down while they eat, which means they risk losing them. The risks and costs of a lost tool are dependent on where the birds are foraging, and what kind of food they're going after. Foraging high in a tree, or dealing with a meal that requires extra handling (such as a hard-shelled bug), means a tool is more likely to be dropped or lost. When losing a tool is likely or presents some kind of setback, the crows appeared to be more careful, opting for the more secure “hole-keeping” method of hanging on to their sticks. But there’s one more factor that the researchers want to look at in future experiments: other birds. Leaving a tool in a hole isn’t always the safest bet. While studying crows, the scientists say they’ve often seen other birds stealing sticks that the crows had placed in holes for safekeeping. Because the crows foraged one at a time in this study, thievery wasn’t an issue; the team now wants to see whether the presence and proximity of potential tool-nappers affects the way crows keep their gear safe.